Every spring, wildflowers bloom in the meadow of Chautauqua Park in Boulder. The deep purples of the Wild Iris present visitors with some of the most intense and beautiful colors of any of the wildflowers blooming. 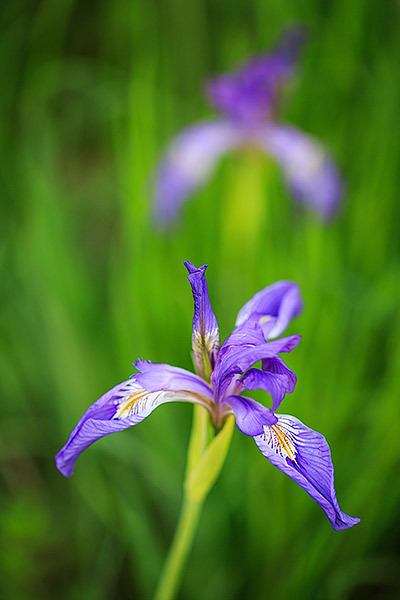 Wild Iris can be found blooming in and around moist drainages which also help keep the grasses that surround them a vibrant green. Photo © copyright by Thomas Mangan.